Tags: bee seeds, butterfly seeds, seed packet favours, wildflower seeds. 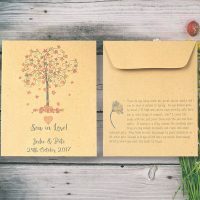 This butterfly and bee seeds wedding favour contains wildflower seeds that butterflies and bees love – Field Scabious, Lesser Knapweed, Selfheal and Birdsfoot Trefoil. 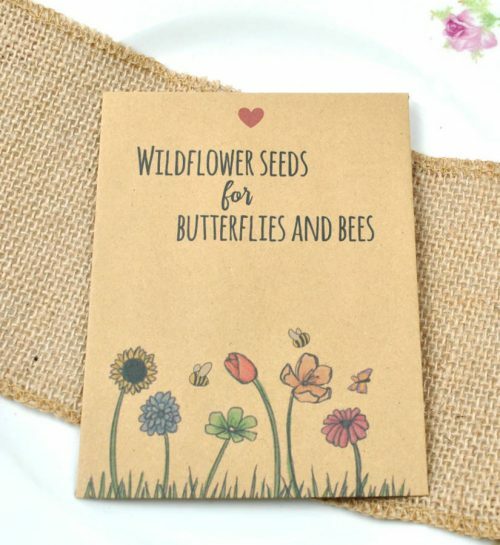 They are all British wildflower species and the seeds are grown in the UK too. 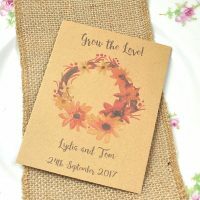 The seed packet measures 9 x 12 cm and is completely recycled. 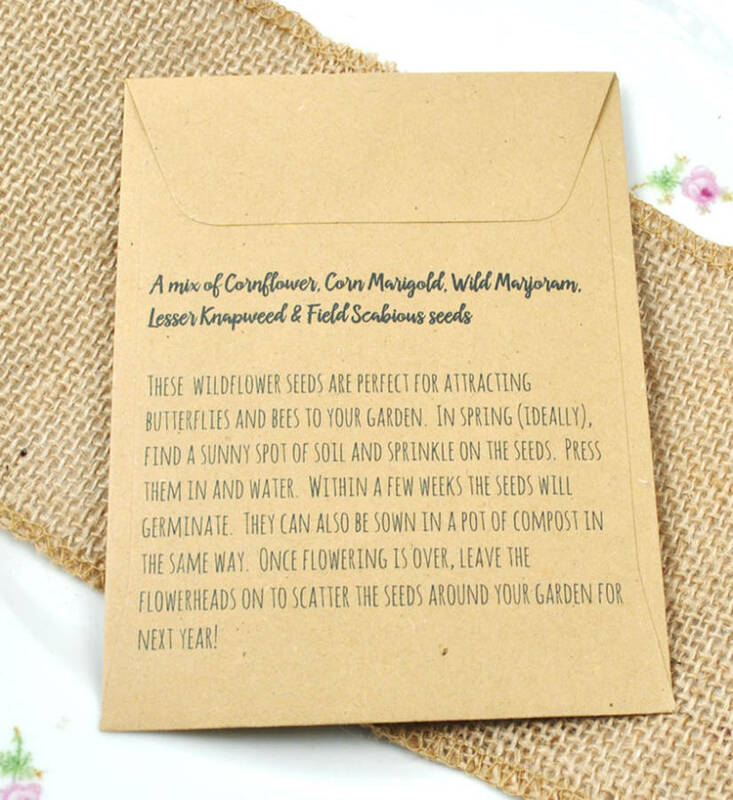 The back of the packet is printed with the seed content and sowing instructions. 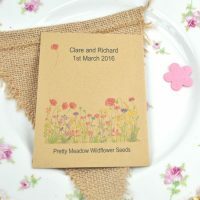 A fabulous, pretty and useful wedding favour to encourage your guests to grow wildflowers! Easy peasy! Either sprinkle the seeds directly on to bare soil in a sunny spot and press them into the soil (no need to rake over). Water them well. Or scatter the seeds over a pot of compost in a similar fashion.